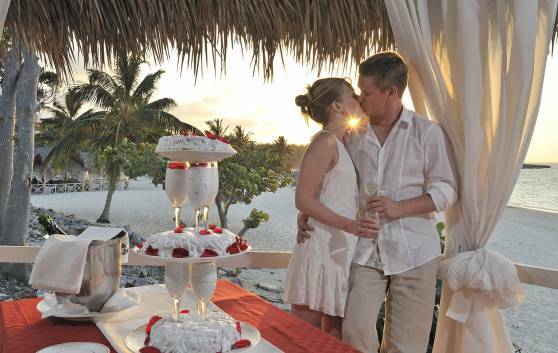 Wedding and Honeymoon programs at Sol Rio de Luna y Mares hotel. Overlooking the sea, towards an amazing coral barrier reef, 60 minutes from Holguín International Airport. A Four Star All-Inclusive hotel complex, with extensive green spaces, a wide range of services, comfortable rooms, an original activities programme and various attractions. Ideal for couples wishing to celebrate the wedding of their dreams surrounded by lush and colourful vegetation with beautiful contrasts.